Zephyr Energy Corporation is a Boston startup company that has developed the Windbeam, an innovative micro wind energy generator that can recharge batteries and power electronic devices. The company has an exclusive license to commercialize the generator intellectual property portfolio from Northeastern University. The Windbeam technology has evolved from a lab bench prototype at Northeastern University to several field-demonstrated units tailored for specific applications. 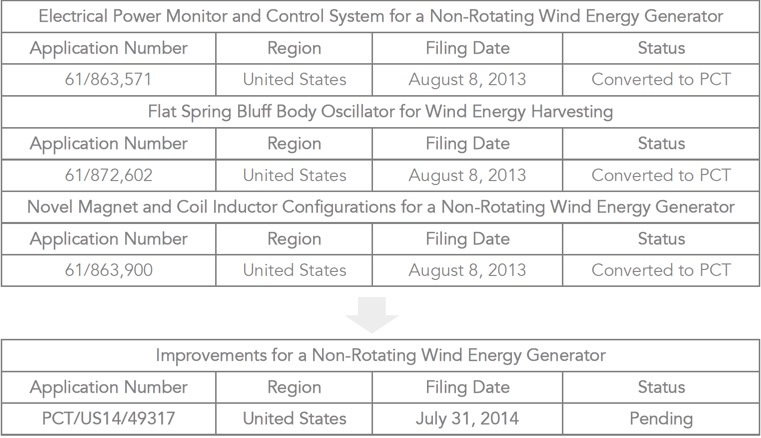 Zephyr Energy’s R&D efforts have yielded significant design and performance improvements, including faster response to low velocity multidirectional wind, increased power output, and reduced cost. Zephyr Energy Corporation aims to capitalize on rapid growth of the Internet of Things movement and a worldwide need for clean, renewable energy. Zephyr Energy Corporation is seeking strategic partners interested in licensing intellectual property rights to manufacture and sell products incorporating the Windbeam generator technology. Contact us for for more information.